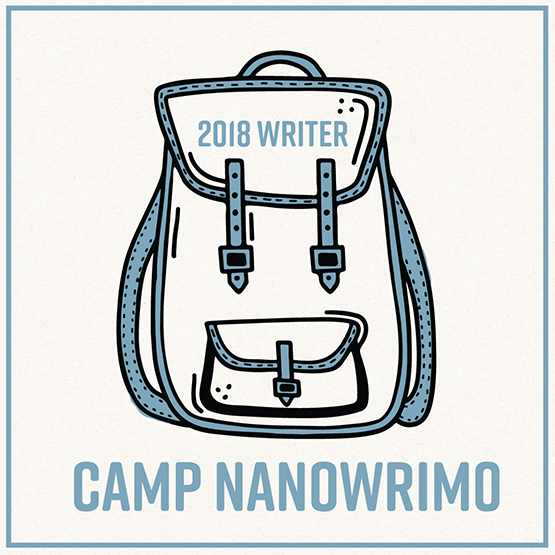 Today marks the halfway point for this month's Camp NaNoWriMo, the set-your-own-goal online writing challenge tied to National Novel Writing Month in November. Rather than choosing a word count goal, I wanted to use this month to build a regular, daily writing habit. 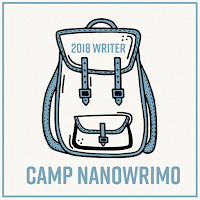 The goal is at least one hour a day (30 hours), plus one additional hour on the days I know I'll have off during the month (+12), plus at least two mini-binge days with two additional hours (+4), for at least 46 hours spent writing in April. So with that in mind, I technically should have been at 23 hours today to really be on track. But since my ultimate goal is to build up better habits, I went into this hoping that the month would get progressively better, not planning to have it all come together on day one. 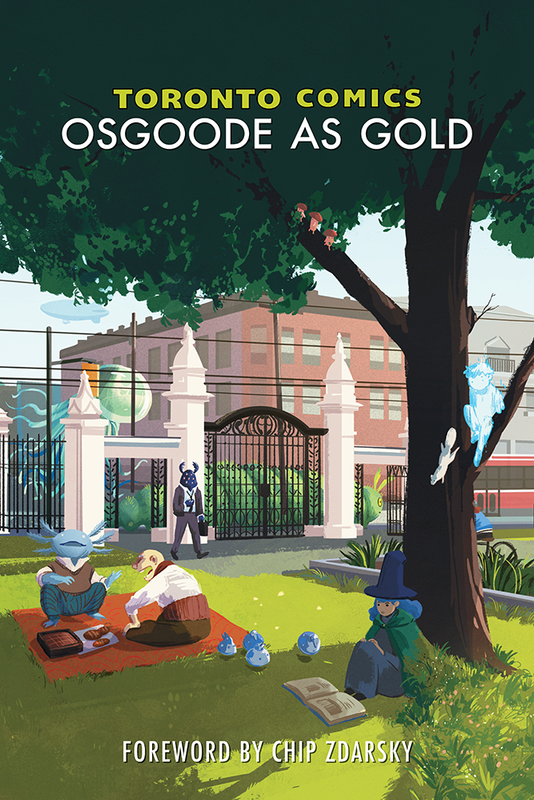 Unlike the every-spare-moment-spent-writing word count crunch of NaNoWriMo, more time for reading was an unofficial part of my April goal. 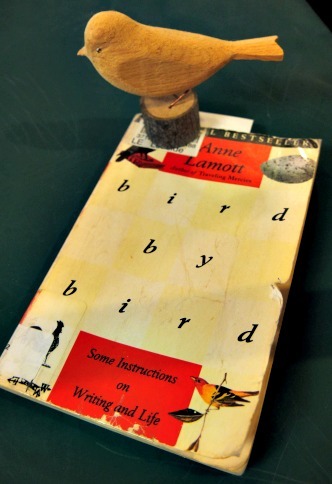 One of the books I read this month was Bird by Bird: Some Instructions on Writing and Life by Anne Lamott. I'd read good things about it and thought it would be a great fit for Camp. Although there ended up being some helpful stuff in it, I must admit I almost stopped reading. I'm not familiar with any of Lamott's other writing, but I quickly got the feeling that she and I simply have a different view of life, which made getting on board with her anecdotes and asides tough. I'm glad I stuck it out though, as there's a really wonderful section near the end about reasons to write. It includes ideas about writing something as a present for someone in your life, writing something to return the favour to the author of a book you love (even if they're unlikely to ever read yours), thinking of writing as being a host to your readers, or seeing writing as a way of giving readers a feeling of connection and communion. These aren't the practical "instructions" someone reading Lamott might be looking for, but for me they were a refreshing bit of motivation. "Seinfeld continued by describing a specific technique he used to help maintain this discipline. He keeps a calendar on his wall. Every day that he writes jokes he crosses out the date on the calendar with a big red X. 'After a few days you'll have a chain,' Seinfeld said. 'Just keep at it and the chain will grow longer every day. You'll like seeing that chain, especially when you get a few weeks under your belt. Your only job next is to not break the chain.'" So now a red pen is at the ready by our kitchen calendar, to see if I can get a nice chain going by the end of the month. Are you taking part in Camp? If so, how's your month going?